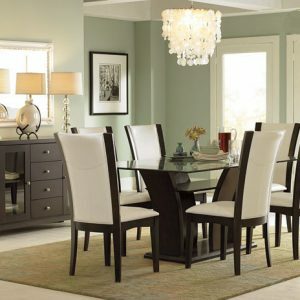 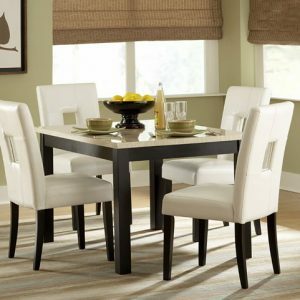 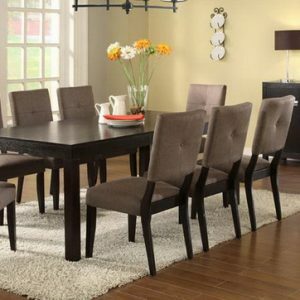 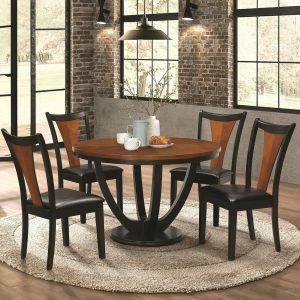 Bring a modern touch into the dining room with this eye catching up-to-date dining set! The smooth dining table features a neutral gray finish that enhances the wood-like table top, a sturdy metal frame along the table edge, and gorgeous mid-century inspired legs. 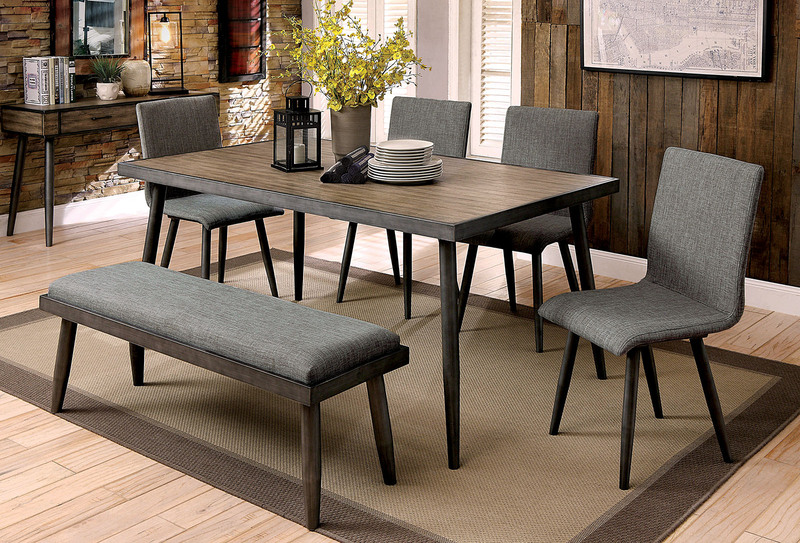 Matching gray upholstery on the chairs and bench adds to the subtle yet trendy visual.